Websites are a thing of the present are will likely be a thing of the future too. 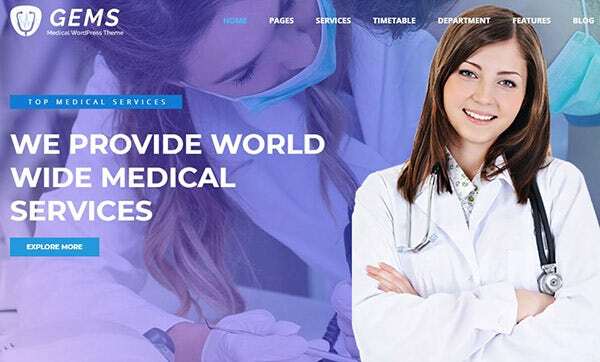 Which is why while starting a medical clinic, one of the first things people do is build a fully responsive website to differentiate your service from others. However, this isn’t easy. 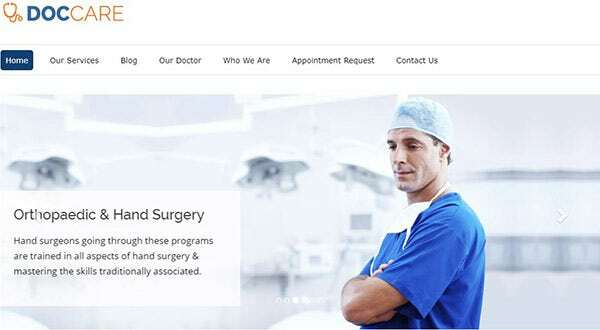 WordPress theme marketplaces have made this task simple by introducing clinic focused themes. 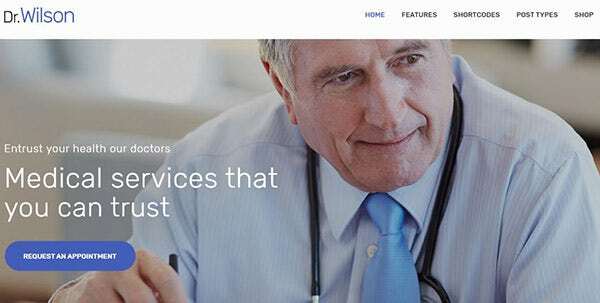 Here are 21+ best clinic themes for WordPress. 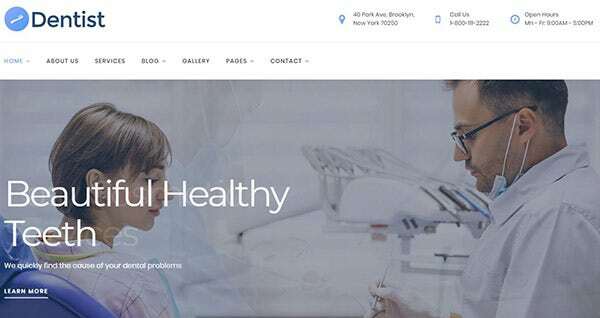 GoldMedi clinic WordPress theme for dentists and other medical professionals is indeed a creatively designed website that is well documented. Due to its clean code, it is also very lightweight and fast. This is a fully responsive, high resolution theme that is very easy to customize. Among its various features, it is also retina ready. Galenical is a fully responsive WordPress theme that is very easy to install. It offers extra page layouts for you to choose from and it also has a layout for mobile. This theme additionally, is search engine friendly which is a highly regarded feature. 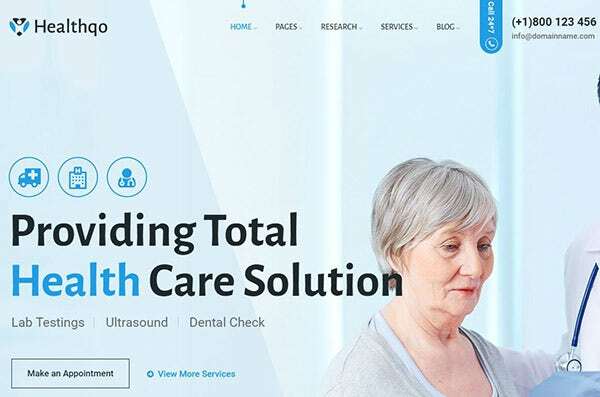 Medico offers its users 5 different homepage layouts all fully responsive. Each of these layouts is also designed to be mobile friendly. 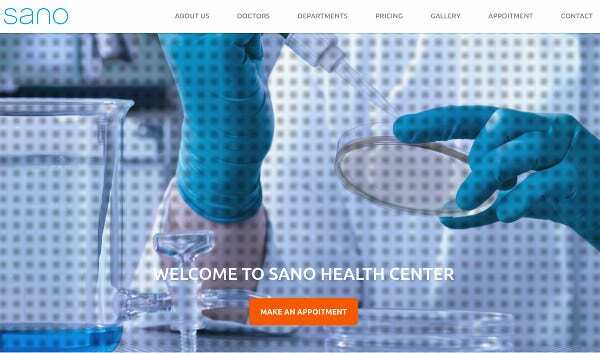 It has the new slider revolution feature that is essential for all new medical clinic WordPress templates. It uses the Google web font which is good for marketability. 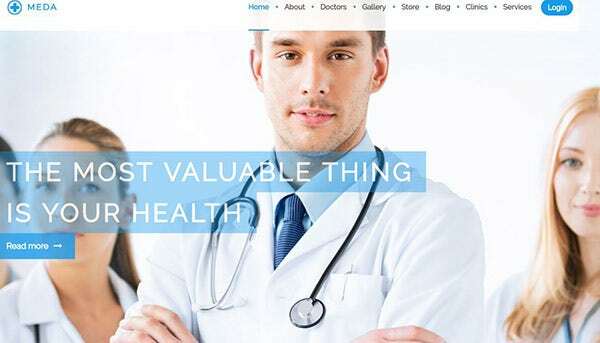 The Doctor is a physiotherapy WordPress theme that comes with a catalog of premade pages, 20+ to put things in perspective. It offers great customer support that is always ready to help. It is a fully responsive, retina ready theme that uses web-based icons that are both, aesthetically appealing and add value to SEO. Doctor Wilson comes with the latest one-click installation process that is a must for every theme. 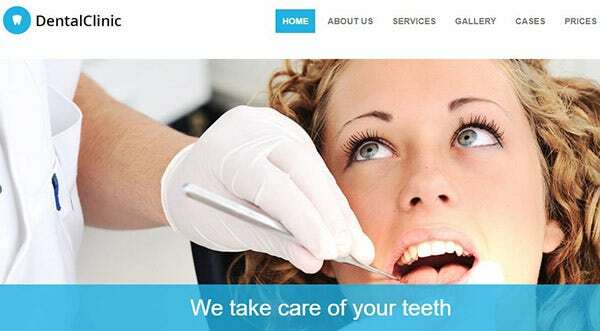 It is a well documented theme that is fully responsive. It has a clean code that helps in improving theme performance. The theme is SEO friendly and WPML ready. 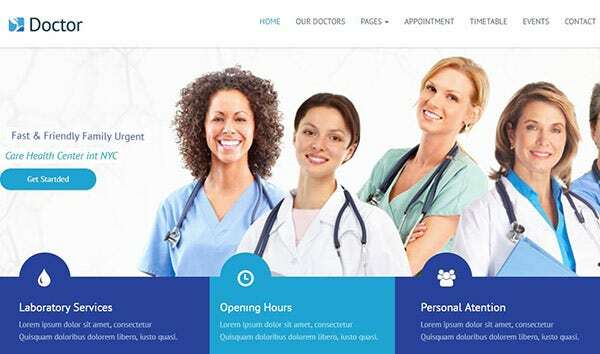 ApexClinic is a fully responsive theme that runs very smoothly. It offers unique demo variations that you can choose as a basic layout for your website. In addition to these domos it also offers a one-click demo installer that makes installing these domos easy. It is SEO friendly theme. Deep Mind is a professional WordPress Theme that has been optimized to perform better. Because it is built on the latest technologies, it works on WordPress version 5. It is a retina ready theme that runs smoothly. It offers features like the newsletter popup and the media library. 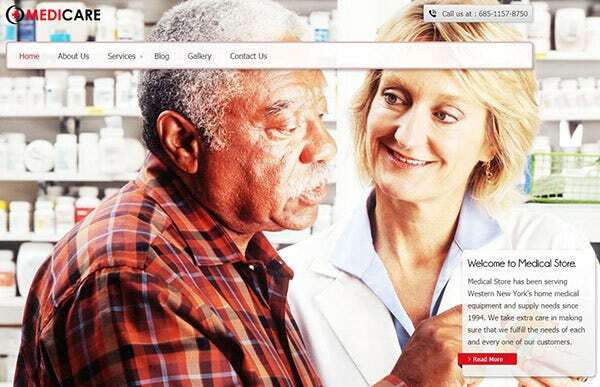 Meda has a modern and unique design theme that the latest website must have. It is a fully responsive theme that is very easy to customize due to its many features. This theme is also made widget ready to support design functions. It is also developed in high resolution. 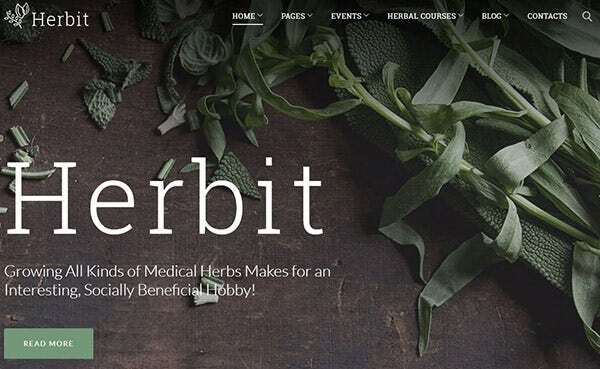 Herbit is a great theme and has great animations. Its animations where made by HTML plus SWiSH making it really smooth. It has an easy installation process and it comes with long-term support. This theme offers multiple layouts that you can choose from, each of which is integrated with Google web fonts. 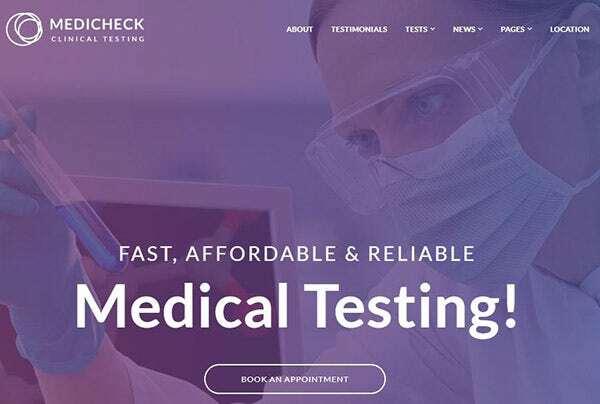 MediCheck is a well-documented theme that is built with the new HTML5 and CSS3. It is fully responsive and retina ready. Among its many features are a power page builder, commenting system and performance optimization. This theme lets you add information about your team members and add testimonials too. 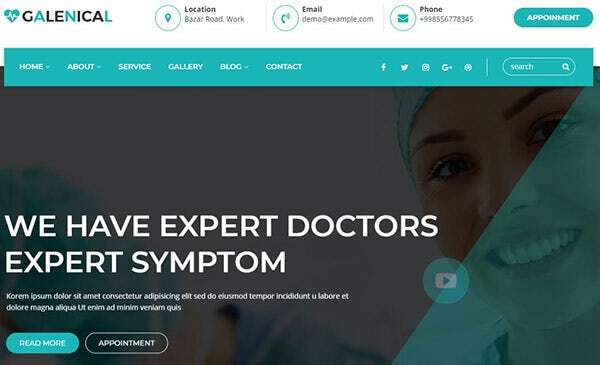 Doccare clinic WordPress theme offers multiple column features that help give a clean look to the website. It has a 100% responsive layout that is compatible with multiple browsers and also mobile. This theme has been built with the latest HTML5 and CSS3 making its code clean and smooth. 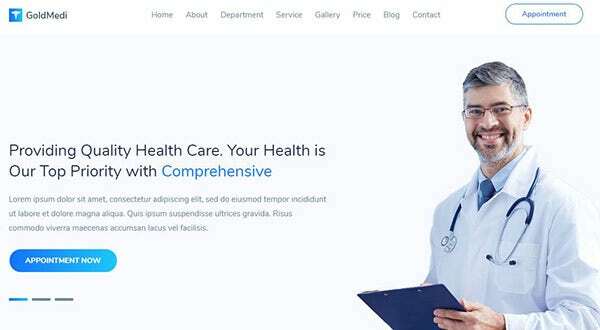 Healtro has a very professional look to it and is also a fully responsive theme. It comes with features like appointment booking that, as the name suggests, helps you keep track of your appointment. It also offers a place to showcase your services and team members. It has a sidebar manager that helps you keep things in order. 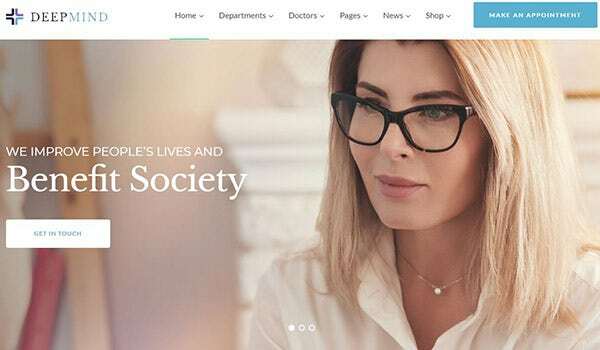 This therapist WordPress theme design has custom CSS and JS codes that make it unique. 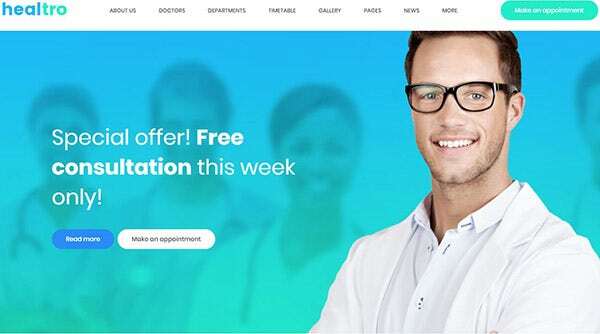 As a doctor you will have a lot of things to write about, therefore the themes blog options should be of benefit. The search engine optimization in this theme is a great feature. It is also retina ready. This theme is 100% responsive and comes with 25 HTML page templates to choose from. It has a 3 level drop down menu option to help add more details. If you need to show your credibility then you can even add testimonials. It also lets you have your twitter feed to help with marketability. 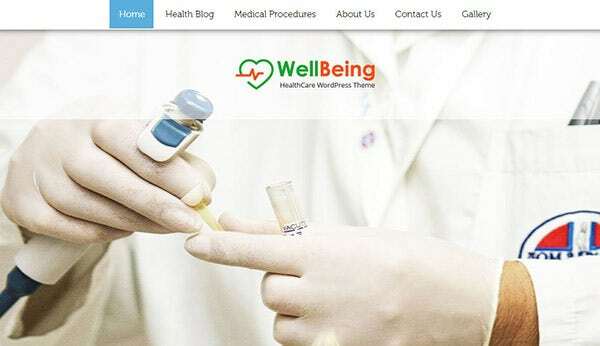 WellBeing is a fully responsive theme that has a very professional design to it. It comes with a booking system that will help you organize appointments. This theme is also translation ready helping cater to various audiences. Additionally, it has a customizable footer widgets area that helps with designing. Sano has a unique gallery for your video and image needs. This gallery comes with unique filters that help stylize the web page better. This is a fully responsive, multipurpose template that comes with a great support system. It has a set of custom-made icons and a section to add your pricing plans. 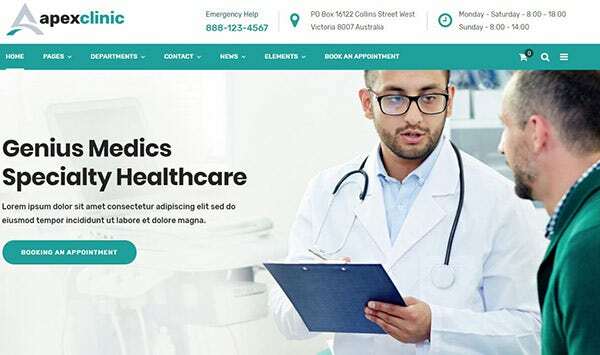 Medicare WordPress theme for skincare clinics and comes with an advanced set of SEO options all catering to improve marketing. With this theme, you will get a custom 3 column feature area so you can add more information. Additionally, it also has a custom call-to-action button that you can monitor. With 12 different color schemes, designing is equally fun. Fully responsive, compatible with various devices, Individual page layout customization available. 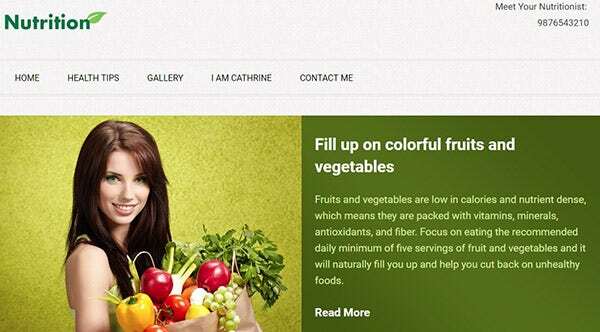 Nutrition is a fully mobile responsive theme that is truly a great buy. It is compatible with various devices and has layouts for each one. 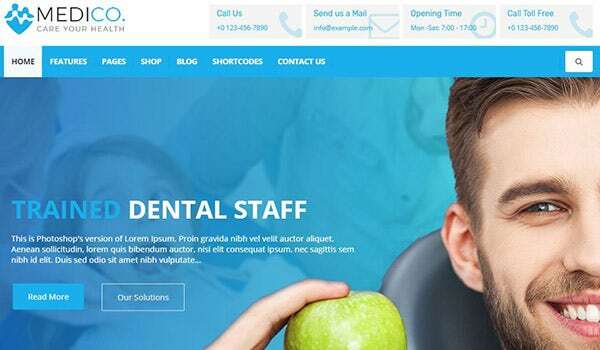 In addition to having comprehensive layouts, individual pages of these layouts can be customized thus giving you full control over your website. This theme has an effective one-click demo installer and a powerful admin panel. It lets you choose from 4 unique home pages and 20+ subpages to build the website of your choice. It is SEO friendly and the fact that it uses Google fonts adds to this feature. Gems comes with many premium plugins that help build a great website. The slider revolution helps make navigation easy and its Instagram feed plugin helps you connect to social media better. It’s free lifetime updates helps you stay relevant always. 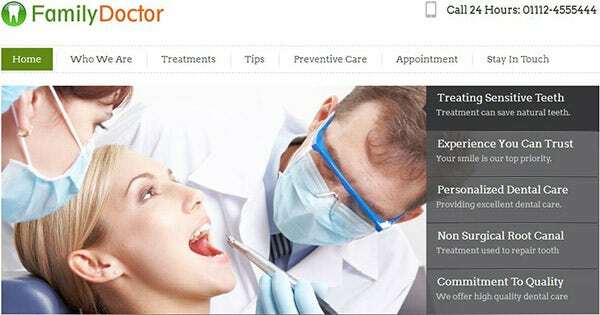 The Dentist theme comes with complete compatibility with many browsers. It is a fully responsive theme that works on the latest WordPress browser. This theme is also SEO optimized using the latest plugins helping you climb the list of Google search options. The Dentist is also translation ready. Themes are a great way to design your website. Make sure to check out the features and widgets that each theme offers. The more you know what they can do, the better you can use your website!